Trade scenarios Mets should consider for Noah Syndergaard: Could Nolan Arenado be an option? My understanding, after talking to MLB insiders during early November, is that to trade Noah Syndergaard, the Mets need to get back a comparable, elite position player that can help them win now. For instance, a Rockies source indicated that they may soon begin listening to offers for Nolan Arenado if they believe he can't be signed to a contract extension. He also confirmed their interest in Syndergaard. So, though he didn't say it, it's easy to see a direct line between swapping these two guys, giving the Mets the best third baseman in baseball for one season, while Colorado can justify moving him by getting a dominant, Cy Young caliber star under contract for three more years. In late October, ESPN's Buster Olney reported the Cubs were open to trading Kris Bryant, which led to a debate about whether it made sense to trade Syndergaard to Chicago for their All-Star third baseman. There have been no hard reports indicating the Cubs have interest in Syndergaard, and Chicago's front office has been quite vocal about not wanting to deal Bryant, but it's worth noting the same group repeatedly scouted Syndergaard each of the past few seasons. In Bryant, the Mets would get a potential cornerstone player at a position perfect for power. Bryant would also squash any fan and media pressure on Van Wagenen to sign Manny Machado or Bryce Harper. With Bryant in New York, and by solving their need for an ace by acquiring an affordable Syndergaard, the Cubs could then make a better run at Harper or Machado, which everyone expects them to do. Bryant, who is a 5-6 WAR player when healthy, is not a free agent until after 2021, which is the same year Syndergaard is free to hit the open market. He has also recently adjusted his approach at the plate to put the ball in play more than just going for lift and large home run totals. In addition to playing third base, he has spent time the past few seasons playing first base and corner outfield. And he has been an above average defender at each position. The Padres have been most written about as a potential destination for Syndergaard. However, if top-prospect Fernando Tatis Jr. is truly off limits, as SNY's Andy Martino reported Tuesday, it's difficult to see how Van Wagenen can justify making the deal. However, if I squint, I can see a scenario that could get the Padres to give up on catcher Francisco Mejia and infielder Luis Urias, but they would probably need to also include a minor-league pitcher capable of soon cracking MLB.com's Top 100 prospects list. In the end, my hunch is the Mets would balk if not getting Tatis, because it would be difficult for Van Wagenen to justify the trade if not walking away the other team's top prospect. Mejia is the 26th-best prospect in baseball, according to MLB.com, and Urias checks in at 27, and both are ready to play now. But, again, they're not San Diego's top kid. In fact, they're not even in the top two, since their second-best prospect is LHP MacKenzie Gore. The only way a deal with the Padres works, if it doesn't include Tatis, is if Van Wagenen quickly follows it up by signing an elite free-agent starting pitcher. In that scenario, he could market it as swapping Syndergaard for, say, Patrick Corbin, while adding an everyday infielder and catcher. As I mentioned above, the Rockies have interest in Syndergaard. But, best I can tell, to do this deal and get back elite prospects ready to help win now, the Mets would need to fill a big-league hole and deal, say, Jay Bruce, while paying a large chunk of his remaining deal. The other option, which I know sounds like fantasy land, though it does make a certain amount of sense, would be to swap Syndergaard for Arenado, which I mentioned above. Arenado will likely earn close to $20 million this season, after which he is eligible to be a free agent. Again, in this scenario, the Mets get the best third baseman in baseball for one season, much like the situation they ended up in when trading for Mike Piazza in 1998, while the Rockies get a potential ace under contract for three more years. It's not crazy. However, this is a lot of risk and moving parts, involving two fan favorites, so my hunch is the two sides end talks before it gets out of hand and holds up the rest of their winter, especially if Colorado thinks they can ink Arenado to an extension. I'm sure the Astros are extra intrigued by Syndergaard because of his contract, results, and the fact that he's a native Texan who grew up idolizing Nolan Ryan, who is currently a special assistant to the organization. 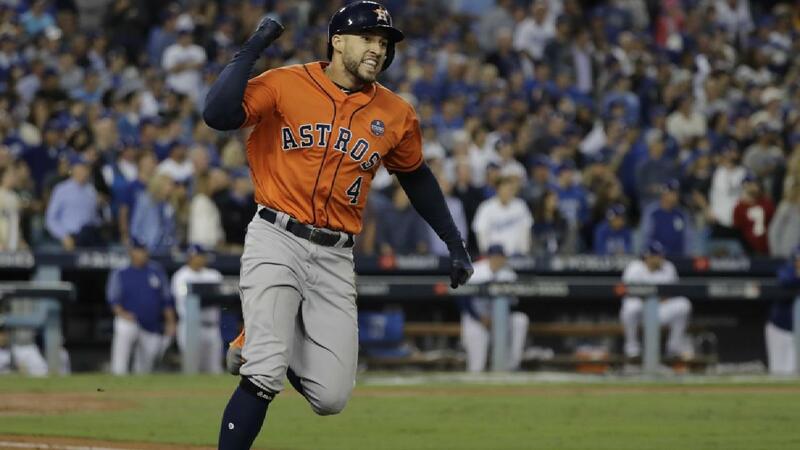 However, their top prospects are years away, which means Van Wagenen would have to ask for big-league producers, such as George Springer or Carlos Correa. And, I just can't see Houston making this bold of a move when they could just sign someone comparable from the free agent market. Similarly, engaging the Braves would mean asking for Ronald Acuna or Ozzie Albies. And again, given what they've invested in these guys, plus both team's reluctance to deal within the division, it would far easier for the Braves to sign or trade for someone else. The Angels could also be a fit, but only if they give up Gold Glove infielder Andrelton Simmons and more. Will he or won't Syndergaard be traded? It's going to be very, very difficult for Van Wagenen to get top dollar for Syndergaard. There are several teams looking for an ace, such as the Nationals, Brewers and Phillies, but the free agent market offers Patrick Corbin, Dallas Keuchel and others, while the trade market supposedly includes Zack Grienke, Corey Kluber, Carlos Carasco and Madison Bumgarner, in addition to Syndergaard and possibly Zack Wheeler. In doing leg work for this post, I got the impression from sources with other teams that Van Wagenen may be using Syndergaard more as bait than a chip to cash in. The Mets floated Syndergaard's name to anyone that would listen during their talks with other teams at the GM Meetings in early November. Then, two weeks later, we started seeing his name and potential matchups leak to media in every major market. The thing is, by dangling Syndergaard in front of other GMs, Brodie and his staff get to learn about the wants and needs of other organizations. This is not to say Syndergaard won't be dealt, but I do think it suggests Syndergaard only gets dealt for the absolute perfect fit for the Mets. It wouldn't shock me to see the deal get downgraded and having it end up being Wheeler that gets moved, not Noah. That said, if Van Wagenen is offered a proven, young, under contract, productive hitter in exchange for Syndergaard -- if he can get top dollar -- I firmly believe the Mets pull the trigger. But only if they have a suitable replacement lined up in trade or off the free-agent market. Odds? Right now, I'd say 40 percent chance Syndergaard is on a new team 2019.